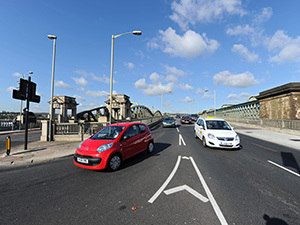 Much of the work of The Rochester Bridge Trust is carried out by professional agents, including the Bridge Engineer, Arcadis Consulting (UK) Ltd.; the Surveyor, Savills Smiths Gore; the Investment Manager, Rathbone Investment Management Ltd.; and the Solicitor, asblaw. 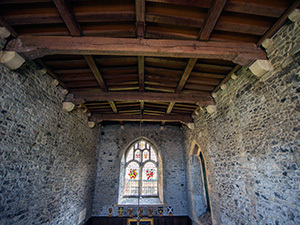 In addition to these agents, who report to the Court of Wardens and Assistants, the Trust employs a small, mainly part-time staff, who carry out the day-to-day work of the Trust between the quarterly meetings of the Wardens and Assistants. 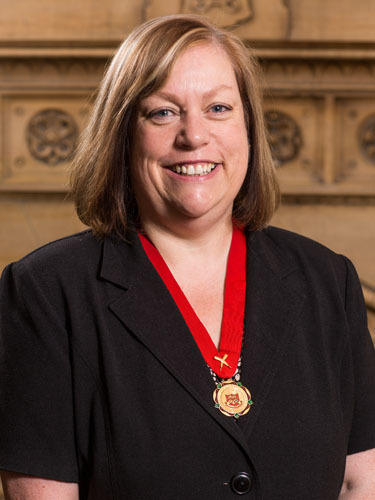 Sue Threader is a Fellow of the Institution of Civil Engineers. After graduating with a B.Eng. 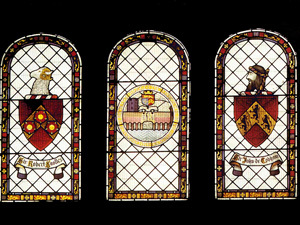 in Civil and Structural Engineering from the University of Sheffield in 1988. She worked for several local authorities as a civil engineer and transportation planner before joining the international engineering consultancy, WSP Group plc, in 1998 as a Technical Director. 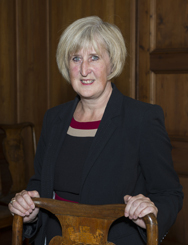 Moving back to the public sector in 2001, Sue held the post of Deputy Chief Executive and firstly Director of Services, then Director of Resources, for a district council in Surrey. Her elder son, Ben, was born in 2004 and, after returning to her previous post for 6 months, she then worked as a freelance management consultant specialising in procurement and public sector trouble-shooting. 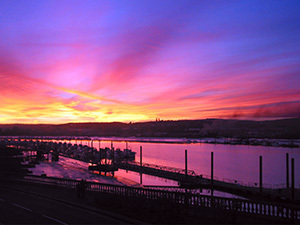 She was appointed as the Bridge Clerk (Chief Executive) of the Rochester Bridge Trust in January 2006. Apart from working for the Trust two days a week, Sue regularly gives talks on civil engineering or the work of the Trust to schools and interested groups and has written a book on bridge building for primary schools. Her second son, Rowan, was born in August 2008. Paula Puxty graduated from the University of Kent at Canterbury with a First Class BA Honours degree in Geography. She then trained as a Chartered Accountant with PricewaterhouseCoopers, gaining her ACA qualification in 2001. Having worked as an accountant in a variety of industries, Paula gained valuable charity experience at Chatham Maritime Trust, where she held the post of Finance Manager. Paula, who first worked for the Trust in 2014 covering maternity leave, has responsibility for the statutory accounts, financial management, insurances and financial relationships with the Investment Manager and Property Manager. Much of her spare time is taken up by her family – including two daughters and Woody the dog – spending time with friends, going on holiday and heading out for walks in their home village. Supporting the Bridge Clerk in managing projects and contracts for the bridges and property estate, Ilona joined the Trust in September 2017. 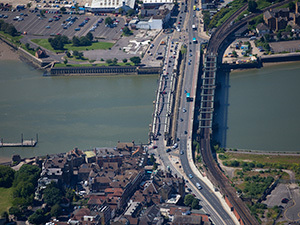 A significant part of her role will be the overall project management of the multi-million pound refurbishment of Rochester’s bridges, as well as managing tendering, implementing controls and developing relationships with external stakeholders. 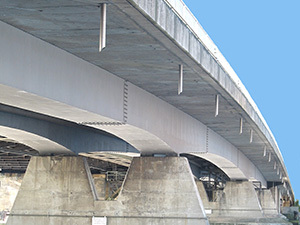 Ilona’s previous experience includes working as Structures Lead providing technical and contractual advice to the client during the construction phase of the Mersey Gateway Crossing; a secondment to the Hammersmith Flyover Phase II refurbishment; and providing the independent design check for the Izmit Bay (Ozman Gazi) Suspension Bridge. In her spare time Ilona leads an active life of dancing and exploring the countryside on her bike. 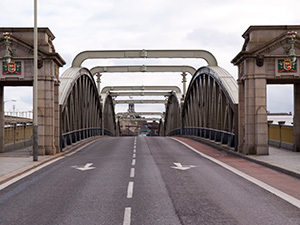 She also enjoys visiting and researching significant bridges across the UK, which makes her the ideal person for this role. Alison Cable qualified as an archivist in 1991, after gaining a BA in art history. 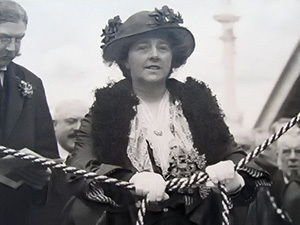 She has since managed a range of institutions, including East Kent Archives Centre and the Medway Archives Centre. Her role involves looking after the Trust’s historic documents as well as planning for the future by ensuring the current filing systems are managed efficiently. Record management is vital for the day-to-day running of an organisation and to ensure the easy identification and access of permanent archives. In her spare time Alison is interested in history and modern art. She also spends a fair bit of time in the garden. The new role of Operations Manager was established when Andrew joined the Trust in August 2017. 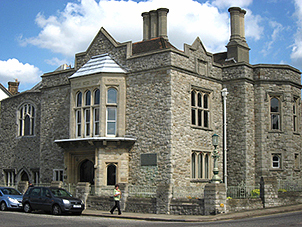 Previously manager of Rochester’s Guildhall Museum and Visitor Centre, Andrew already has experience of working in the historic community. 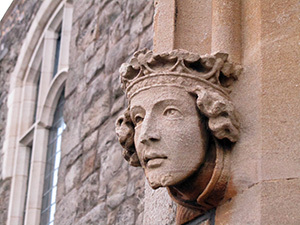 This, combined with his previous work in industrial modelmaking, advertising and architecture, mean he was ideally placed to take on this post combining building and office management with the overseeing of external projects. Andrew also manages grants and provides support to funding recipients. In his spare time Andrew enjoys exploring places of historical interest with his wife, gardening, and supporting his father’s passion for classic cars. He also offers voluntary technical support to the museum. 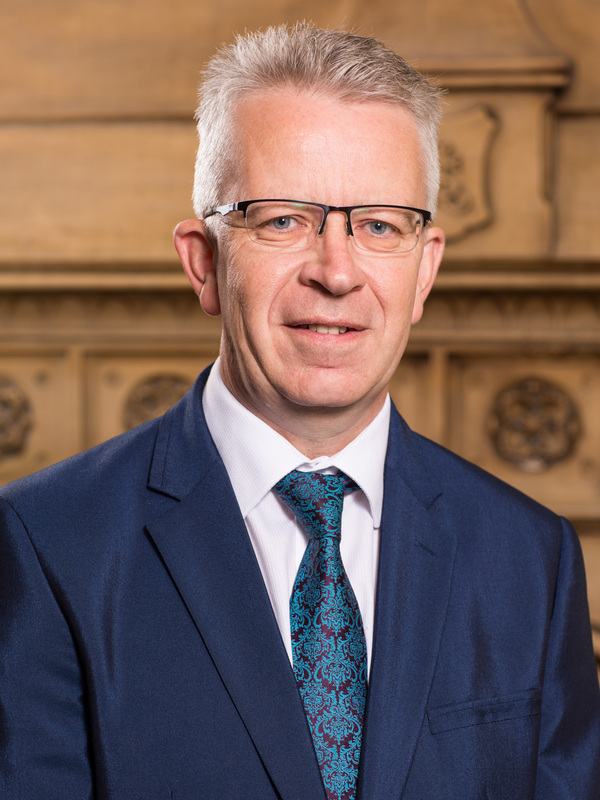 Andrew is particularly keen to use his position to explore new connections for the Trust and to help worthy causes achieve their aims. Starting her career as a Payroll Clerk, Jane Down trained as an ACCA-qualified accountant and worked her way through the ranks in the telecommunications industry. This provided her with valuable experience in all areas of accounting, including group management accounting and cashflow forecasting. A move to the family business in the construction industry gave Jane further experience in accounting and administration, while also looking after her young children. When not at work Jane enjoys spending time with her family, including two sons and a cat called Max. 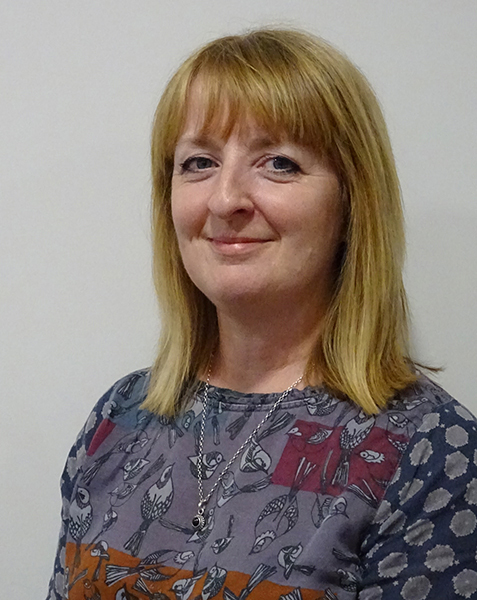 Jane joined the Trust in 2016 and her role involves keeping the day-to-day accounting records up-to-date as well as looking after payroll, VAT, quarterly accounts preparation and generally assisting the Chief Finance Officer with all areas of finance. 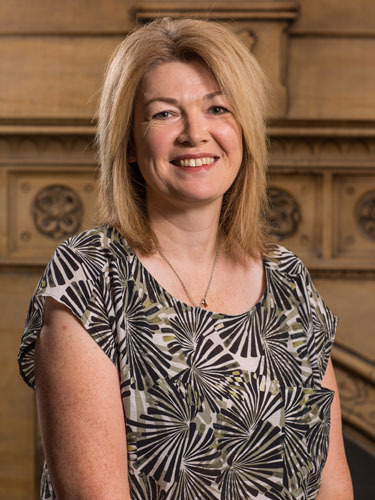 Aileen White has 20 years of teaching experience in the areas of design and technology and information technology, as well as being a school improvement consultant. This includes working with schools, industry experts and councils across all four Key Stages. Aileen works as Education Officer, having started work at the Trust in July 2016. 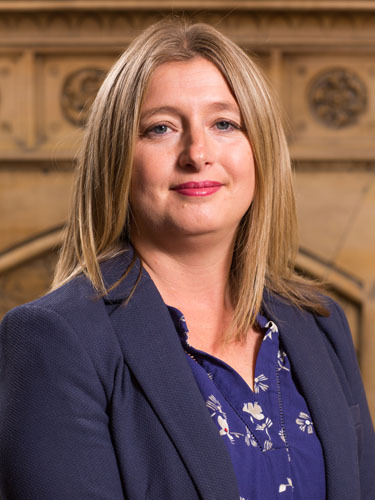 She is particularly inspired by the Trust’s aim to be a leader in engineering education nationally, and enjoys working with teachers and children, students and young adults. Aileen, who has a husband and two young children, founded Birthing From Within Kent, a non-profit organisation to support families on their journey through pregnancy, birth and early postnatal years. Caroline became an Education Officer at the Trust in January 2017. She has a biochemistry degree and a PGCE, but left teaching after more than a decade to spend time with her children. Caroline also runs Bioactive Learning which provides support and runs STEM clubs for home-educated children and primary schools. In her free time, Caroline enjoys spending time with her two children, training for a half marathon – which earns her chocolate-eating rights – and acting as an adult instructor with a school Combined Cadet Force that has links with the Royal Engineers. Caroline believes it is vital for children to be engaged in good, fun, science education from an early age and enjoys widening their experiences, broadening their horizons and improving their opportunities. A graduate of Imperial College London and a specialist in molecular microbiology, Claire worked at the London School of Hygiene and Tropical Medicine, and St George’s Hospital Medical School, before training as a science teacher. Having spent 11 years as a science teacher, becoming a subject leader in the latter half of this, Claire set up her own company, Sci Clone Education, working as an education consultant offering teacher training and working at STEM outreach events for charities, including the Trust. She took up the post of Education Officer in September 2018. 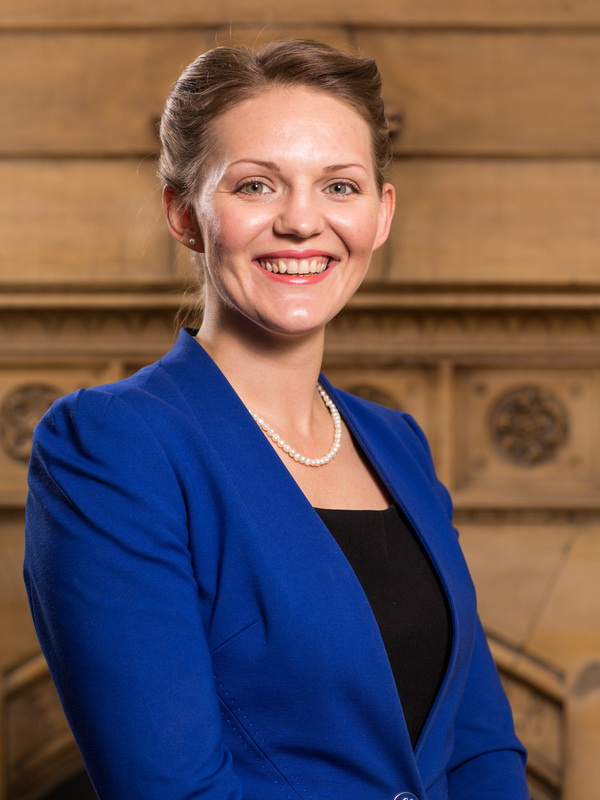 Claire seeks to deliver high quality education to young people, nurturing their curiosity about the world around them. 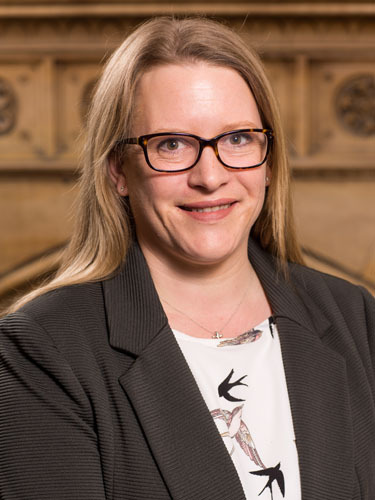 In her current role she is keen to engage children in STEM subjects, raise their aspirations and help to develop the next generation of scientists and engineers. In her spare time Claire is working towards her black belt in kickboxing. She’s also kept busy by her young daughter’s social life, taking her to dance lessons, karate, swimming and music groups. Helen Warne had the benefit of more than 20 years’ experience as an executive assistant and/or secretary when she joined the Trust in late 2016. For the past six years having worked in a private capacity. Her role involves acting as Secretary to the Chief Executive and supporting all aspects of the Trust’s work. 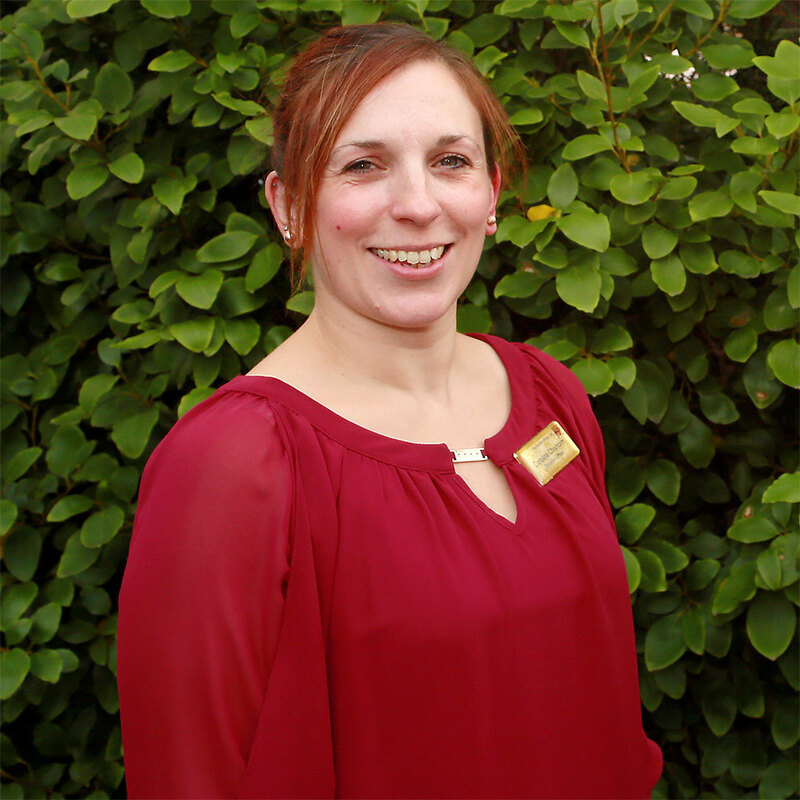 Helen spends her free time with her husband and two children – a daughter and son who take part in a great many clubs and activities! The rest of her time is spent meeting up with friends and enjoying holidays. Judy Campbell is a Part 1 Qualified Legal Executive with professional qualifications in Management, Human Resource Development, and Training. She has worked in London for many years, carrying out roles in office management and project leadership for a variety of industries and companies, including Hogan Lovells LLP, Reinsurance Group of America, and the Defence Police Federation. 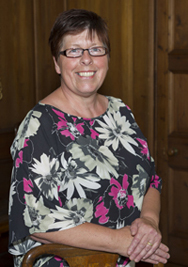 Judy joined the Rochester Bridge Trust in September 2014 as Contracts Administrator. In her new role she is responsible for administration of contracts between the Trust and its advisors and suppliers and for ensuring that software and office systems support this activity. 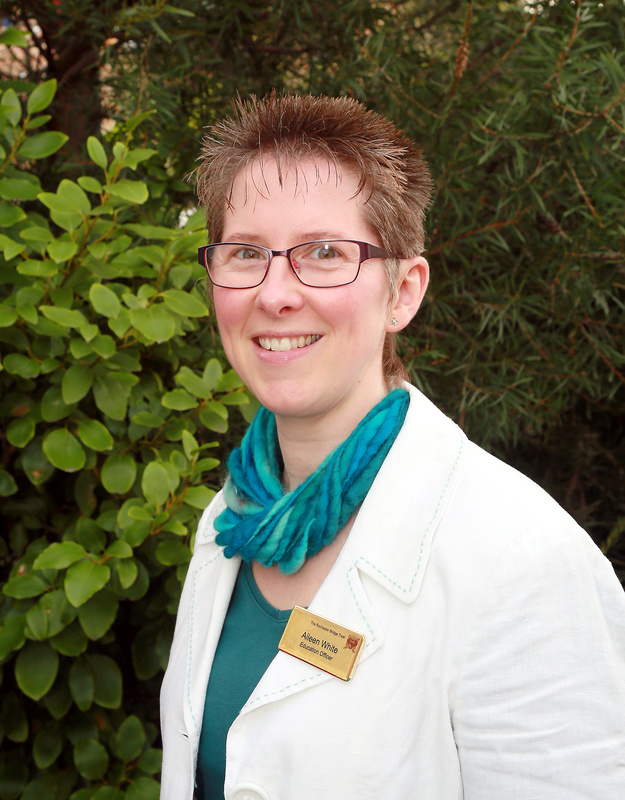 In her spare time Judy is a reflexologist and gives talks on reflexology to local groups. 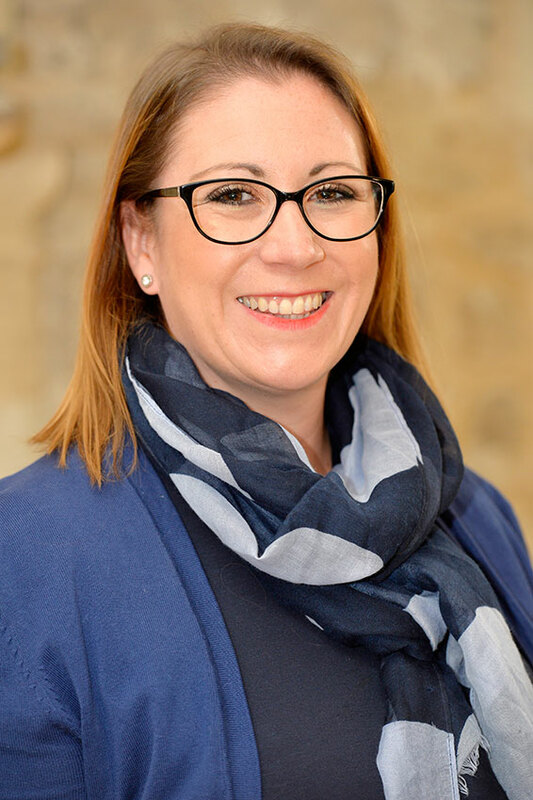 Vivien has worked as a travel consultant for Lunn Poly, an office administrator with the Security Service MI5, a duty manager and receptionist for Virgin Leisure, and more recently as the reception co-ordinator for BACTEC International. Vivien joined the Rochester Bridge Trust in May 2013 and now ensures the smooth running of the Bridge Chamber, as well as setting up for meetings, supervising special functions, greeting visitors, and cleaning the historic fabric and furnishings. When not at work Vivien enjoys swimming, reading, and travelling. Holidays usually include a European city break and attending scout camp with her husband, a leader of the 30th Strood (Cuxton) Scouts. 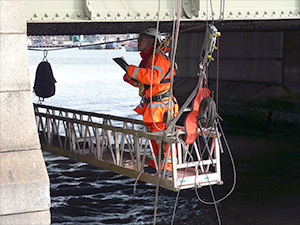 Having taken early retirement from National Power, where he was Production Foreman, Eric Clive joined the Rochester Bridge Trust in March 1995 as Bridge Chamber Caretaker. Two years later he was also employed as part-time Assistant Bridge Caretaker, and in August 1998 he succeeded to the post of Bridge Caretaker. 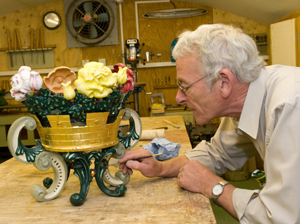 Now retired from the Trust, he continues to look after the Bridge Chamber and Esplanade gardens. His passion is home improvement, and he always has a project on the go.